I’m so happy that we are here for another month because I still have a TON left on my to do list here! Of course even on days when all I do is my laundry and grocery shopping at Marianos and then the show at night, I still feel like I get the Chicago experience because the audiences here have been so awesome! They inspire and challenge me to do my best every single show. I know that you Chicagoans are a super savvy theater crowd so it’s really important to feel well rested and pumped (and sufficiently caffeinated – thanks Intelligentsia!) for each show here. Also the local crew here is amazing! Everyone is so professional and friendly and quirky, which I love. So back to my to-do list…I have GOT to experience some more Chicago restaurants! So far I love ‘Girl and the Goat’ so much that I’ve gone there on the day off every week so far! But please tweet suggestions at me (@YesHannahBanana) I would love to find some lesser known but awesome spots. Same for bars/night spots! I think my favorite bar so far is Three Dots and a Dash. Their playful and silly Tiki vibe is precisely what I’m craving after a night of melodrama and high stakes in the Masked Man’s opera house. Oh, and as an NYC girl, I will always be loyal to New York pizza, but I’m not gonna lie, deep dish is pretty sweet too. Alright, I’m about to walk out into the pretty snowy streets of this city. Hope to see you at the show and join us next Thursday when we will be tweeting LIVE! 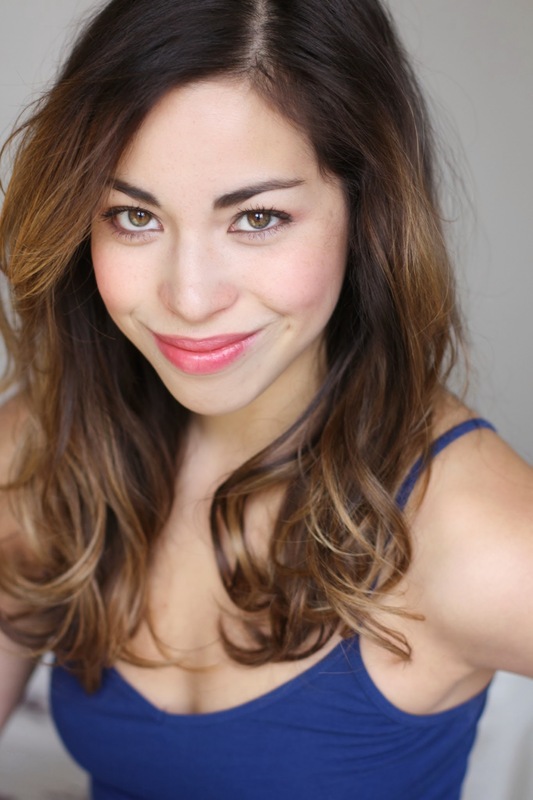 See Hannah in The Phantom of the Opera playing at the Cadillac Palace Theatre through March 2nd. Be sure to ask any questions for Hannah (Meg Giry) @YesHannahBanana, Eric Ruiz (Porter/Ensemble) @theEricMRuiz and Nick Cartell (Ensemble) @nickcartell for our Twitter chat on February 6th at 10:30 am CST using #PhantomBIC to receive a reply during the LIVE TWITTER CHAT! First off, a huge thank you to all of the amazing audiences that have seen The Phantom of the Opera so far! My name is Nick Cartell and I have the pleasure of performing this incredible and historic piece of theatre every night. As a member of the ensemble (with a feature as the police officer in the pit), I also cover the role of Raoul and am the fight captain on the show. Now that we have gotten my credentials out of the way, let’s talk Chicago! This is my second time to the Second City, the first was in 2005 and I was only here for a quick 48 hours—but long enough to see Wicked and witness the White Sox win The World Series—and I forgot how much I loved it. Your hometown is a great big city with a midwest feel, and coming from New York, it’s a welcome breath of fresh air, (well ok, very, very cold fresh air). The tour has been in town for about a month now and it’s been such a privilege to bring a #spectacularnew take to such a classic show, especially one that is still running on Broadway, having just celebrated their 26th year! So far, audiences seem to be loving what we have to offer. And I know many of us in the company have been exploring all that Chicago has to offer! For most of the cast and crew, this definitely includes the amazing restaurants in this city. Between visiting spots like Girl & The Goat, The Boarding House and Wildberry Café (more to be sampled during restaurant week, I’m sure! ), and attending a Chicago Bulls game when two of our cast members sang the national anthem, this is just the beginning of an amazing journey that I get the chance to take here—and I still have another month to explore! As I said, I am so excited to be able to perform in this show; The Phantom of the Opera has captured so many hearts and inspired so many people, including me. It’s so awesome to bring this show to such an incredible, theatre-loving city. Whether you have seen the show before or it is your first time, I am sure that you will get caught up in the music and the mystery and you will see why we call it the “Spectacular New” Phantom. I look forward to answering your questions on Twitter Thursday, February 6th from 10:30 am CST, so ask away! And thanks again, Chicago, for a wonderful welcome and a wonderful visit. 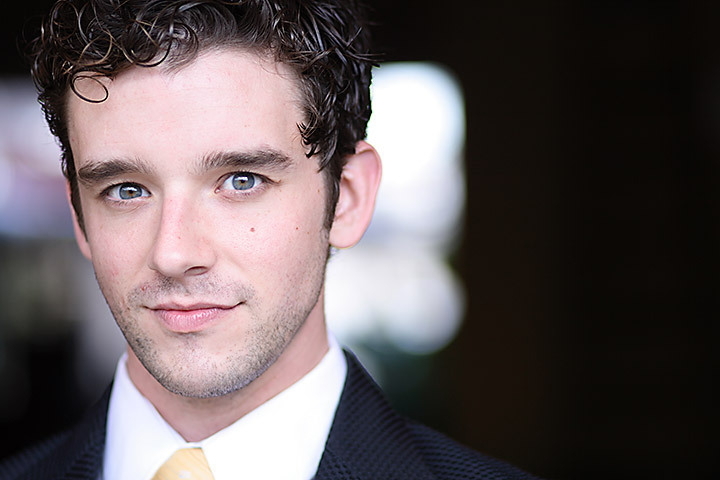 You can catch Nick in The Phantom of the Opera playing at the Cadillac Palace Theatre through March 2nd. Be sure to ask any questions for Nick @nickcartell, Eric Ruiz (Porter/Ensemble) @theEricMRuiz and Hannah Florence (Meg Giry) @YesHannahBanana for our Twitter chat using #PhantomBIC to receive a reply during the LIVE TWITTER CHAT! Chicago “the Windy City”, my home town. The second I got the call from my agent saying I booked the role of Oda Mae Brown in Ghost the Musical I immediately checked the itinerary. I waited until then because I didn’t want to get excited about the itinerary if I wasn’t going to be a part of the production. There it was, this tour was heading to my home, Chicago, and I couldn’t be happier! Performing is one thing, but to do it in Chicago has a whole other type of excitement. There are so many people here who have encouraged, supported, and helped cultivate my talent and gift, so when I hit the stage here it’s for all my family and friends. Chicago has so much to offer – one of my favorites to talk and rave about is THE FOOD! Now I will admit I am biased, but rightfully so. I’ve been to quite a few cities so far but none can compare. I’m all for real local, eating pizza from Beggars, Home Run Inn, Italian Fiesta and other places like Harold’s Chicken, going to Greek town, and oh you can’t forget a staple like Garrett’s Popcorn. Needless to say I better stick to my workout regimen because I’m hitting up all my favorites! Chicago…my home town. 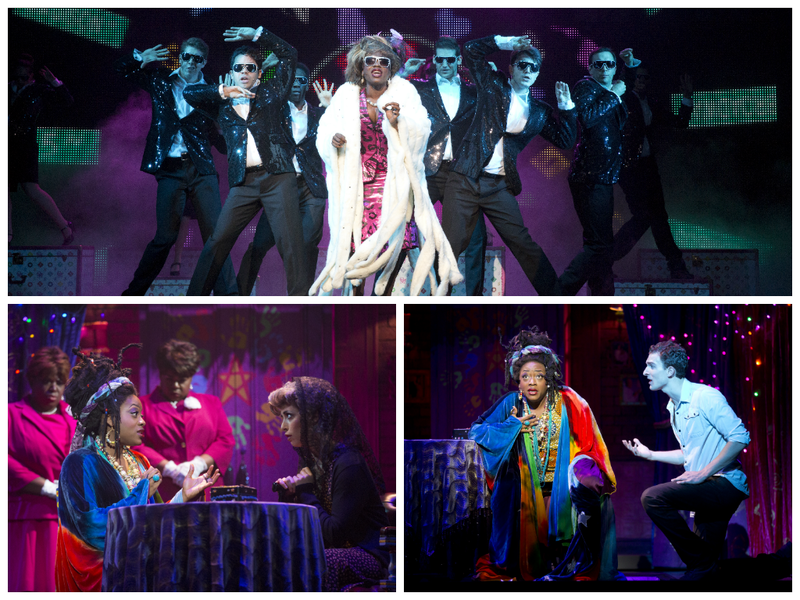 You can catch Carla R. Stewart as Oda Mae Brown in GHOST The Musical, now playing at the Oriental Theatre through January 19, 2014. We’ll be hosting a Twitter chat with Carla at 12:30pm today! Ask any questions you might have for her using #GhostBIC and she’ll reach into the great beyond for the answer you seek. Chicago has always had a special place in my heart. Not only did I spend summers here as a kid but Chicago was also where my Mother grew up. I am also lucky to call Chicago my first workplace as it was where I debuted my first leading role in a national tour (Doody in Grease) about 9 years ago. We opened at the Chicago Theater and my entire family was able to attend. It was such a magical and special evening! Since then I have worked here five times and it has only gotten better. The audiences, for one thing, continue to blow me away. They have such an amazing energy along with a great appreciation for the arts. They remind me of audiences in New York but with a warm mid-western charm! The city itself is so energetic and there are almost too many areas and things I love to do here that it is hard to pick a favorite. Whenever I’m here I find myself going to the museums, the Shedd Aquarium, shopping on Michigan Avenue and taking in the incredible architecture. Unfortunately, I usually find myself here during the winter so those are the main things I am able to enjoy without freezing my pants off. I will say, though, that the weather is the perfect excuse to explore all of the amazing restaurants and eat EVERYTHING! All the food is great but nothing has compared to the chocolate cake I have destroyed at Gilt Bar, an incredible restaurant I discovered within walking distance of our theater. As far as going out, I love to explore the Wicker Park area. So far it has the most interesting places to go out in, from The Violate Hour speakeasy to the Emporium arcade bar! It reminds me a lot of the Village in NYC or Williamsburg, Brooklyn. A home away from home, I will always look forward to an excuse to visit Chicago… and being able to perform in one of the most beautiful and intricately designed theaters I’ve ever seen is just the topper on the cake! We’ll be doing a Twitter Q&A with Jesse on Thursday, November 21 at 1 p.m. Be sure to tweet your questions here using #WickedBIC and he’ll respond with his answers! 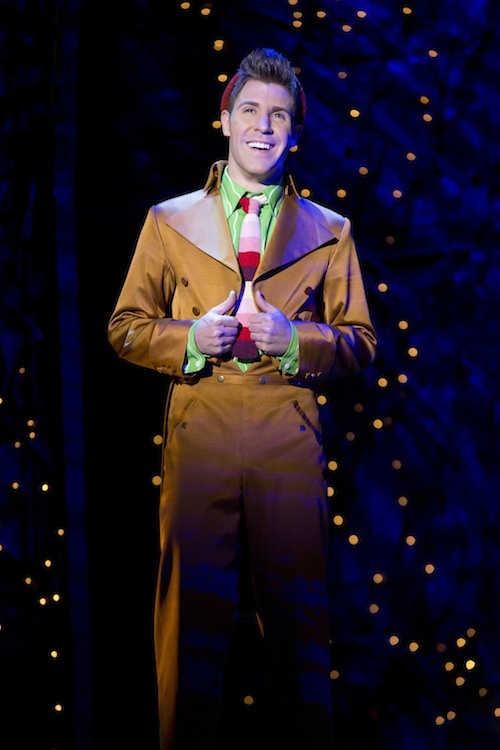 You can see Jesse perform as Boq in WICKED at the Oriental Theatre now through December 21st. Click here to buy your tickets now. We will be hosting a live tweet chat with Evita actors Krystina Alabado and Tony Howell on Friday, September 20 at 12pm CST. Tweet us your questions using hashtag #EvitaBIC ! 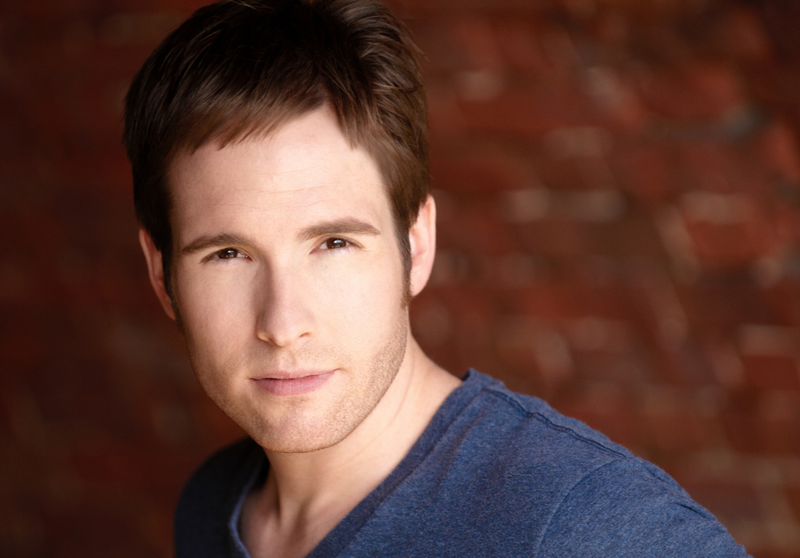 TONY HOWELL (Ensemble) Currently on the First National Broadway Tour of Evita, Tony Howell is a dynamic and versatile “triple threat” with credits from New York to Shanghai. Multi-talented and equally ambitious, Tony is also a creative collaborator moving and shaking his way around the world. Tony last toured North America with Disney’s Beauty and the Beast (Swing, u/s Lefou). Most recently, he helped raise 1.43 million dollars for Broadway Cares/Equity Fights AIDS through Broadway Bares 23. Prior to that, he completed Show Boat (Principal Dancer) at the Kennedy Center and originated the roles of Jose and Inner Goddess in 50 Shades of F****D Up, the forthcoming off-Broadway parody. Other New York credits include Broadway Varietease (Swing) and Broadway Backwards 7 (Dance Captain). 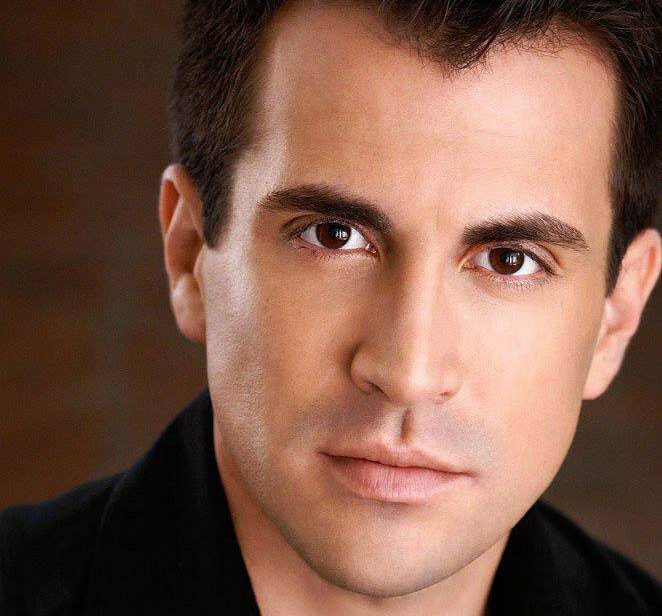 Tony’s favorite regional roles include the Emcee, Skimbleshanks, Action and Robert Martin.